Do you think vacation Bible school is only a summer program? 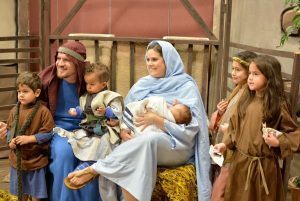 Grace Polaris Church, a Charis Fellowship congregation in Westerville, Ohio (Michael Yoder, lead pastor), who for 30 years presented the highly-regarded “The Living Christmas Trees” pageant, decided to try something new this year. 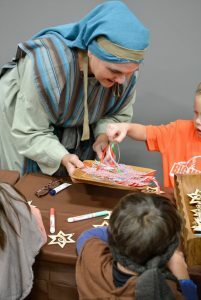 For 2018, the church leveraged the popularity of their summer VBS (one of their largest events) by introducing a Christmas VBS, which took place on December 8. In a typical VBS, the goal is for the child to experience the Gospel and biblical truths and bring those home to his or her family. But Grace Polaris wanted to make it easier for parents to have the same experience, so they invited whole families to attend together. The Christmas VBS, attended by more than 375 people, was hosted in Grace’s brand-new Ministry Center, which opened for the first time to the public on December 7 for their 2018 jazz and comedy Christmas show. The VBS featured multiple “stations” that families stopped at along their interactive Christmas experience. Each station featured sound effects, making the setting even more real to participants. The marketplace hosted a variety of snacks including dried fruits, bread, cheese, and cookies. Crafts and other activities were spaced throughout the venue as well. This special Christmas experience was achieved only with the help of a church family coming together to glorify the King. 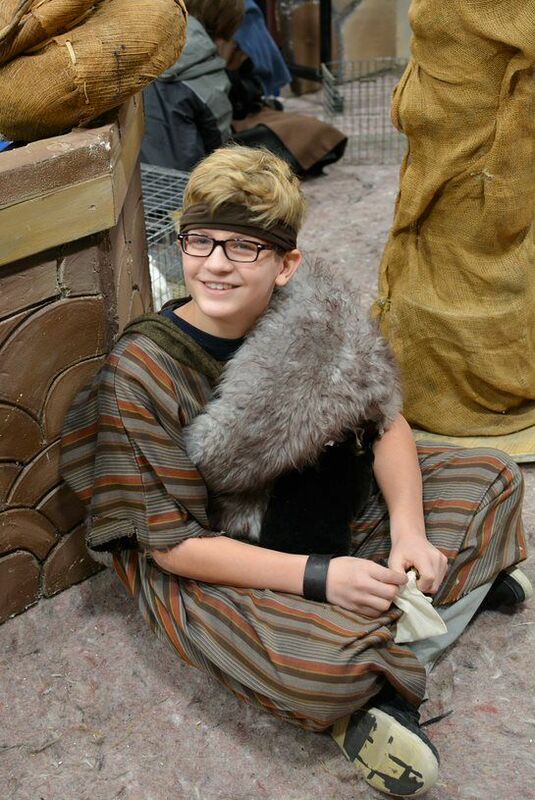 At their summer VBS, they had 256 volunteers, and this year was no different. But at the center of it all, of course, is the Gospel. [Connect:] Click here to send a note of encouragement to Grace Polaris Church as they seek to continue glorifying God through the rest of their Christmas programs. This story first appeared in GraceConnect eNews. To subscribe to the weekly e-newsletter that includes news and information from congregations in the Charis Fellowship, click here.